Penn Masala's Antakshari: EVERY Girl Needs This On Her Playlist! We all remember The Bollywood Breakdown by Penn Masala right? Oh, it was so epic! Every iconic Bollywood song ever, mashed up into one! That was when Penn Masala become a favorite of ours and now they're a regular on our playlists. So guess how we felt when we heard their new number that totally matches the awesomeness of The Bollywood Breakdown?! We're so in love with this Antakshari track - totally amazing throwback songs PLUS it brings back so many memories of us playing the same game! So maybe it's time to bring it back? Watch this and maybe Antakshari will be your next party game too! PLUS: Subscribe to POPxo on YouTube for original videos + our favourite videos from around the web! 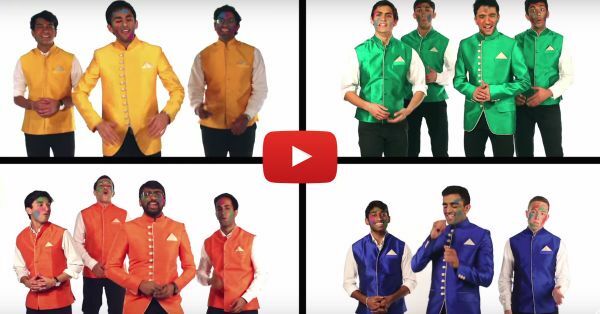 MUST-READ: This Super-Cool Bollywood Mashup Will Make Your Day! MUST-READ: F.R.I.E.ND.S. Set To Bollywood Songs? Bum Chiki Chiki Bum!